Touring a new place by foot or bike is the ultimate way to experience its culture, smells and sights. You intimately get to know its curves and character, its beauty quietly revealed. Something so ordinary as walking becomes enchanting and exciting when it’s done in a new place where we are offered surprises with each new step. There are many great places to find a walking vacation, but California’s Carmel-By-The-Sea is at the top of my list for it’s stunning ocean views, quaint European styled shops, and it’s relaxing vacation vibes. It feels like a sophisticated wine country meets down-to-earth beach town, a balance that is downright charming. This “Walkers Paradise” is only a ten-minute drive from the more bustling Monterey, and less than a two-hour drive from either San Jose airport or San Francisco International Airport. 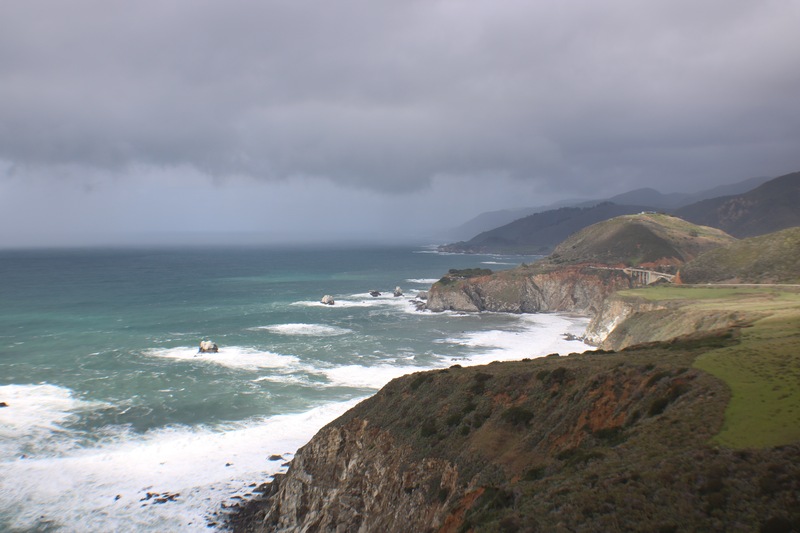 Enjoy the scenic drive down and take highway 1 from Santa Cruz to find yourself gasping at the breathtaking jagged cliffs and rocky shorelines. 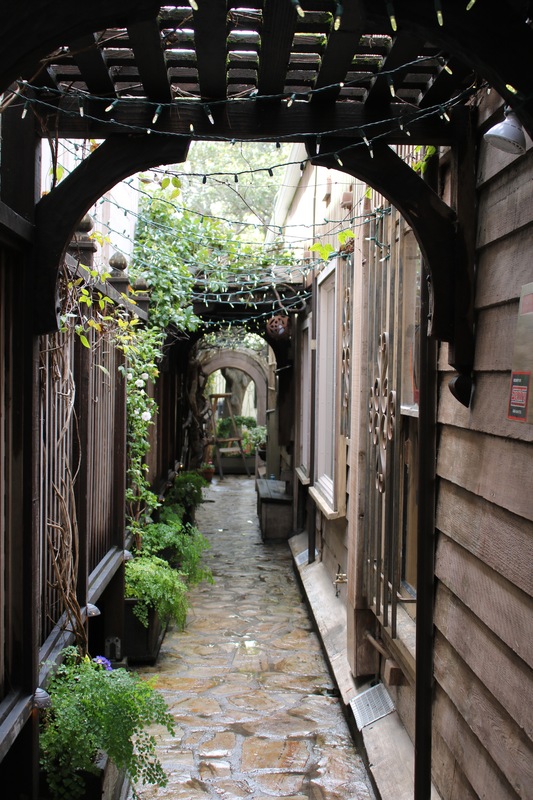 Once you find yourself in Carmel-By-The-Sea, or just “Carmel” as the locals call it, you can leave your car keys behind and embrace the natural way to navigate the town: by foot. 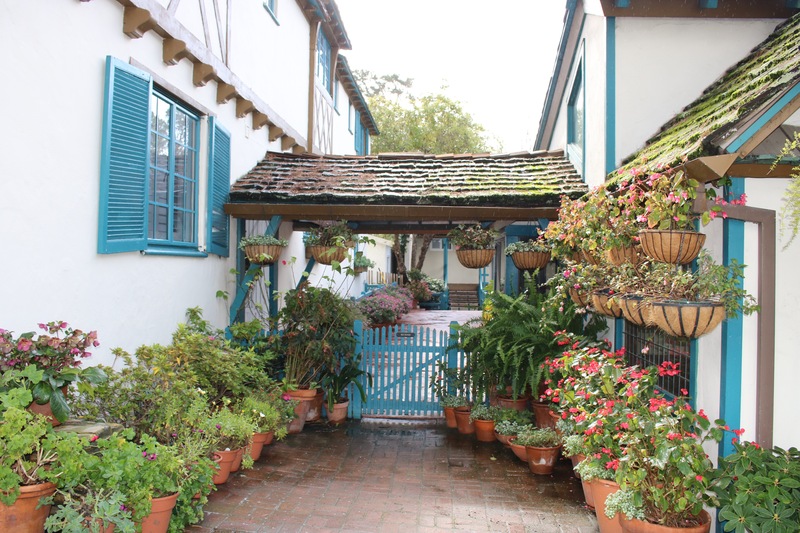 Monterey County’s smallest village is only one square mile, making everything in town a short walk away. Carmel is a weekend destination for those escaping the city while still enjoying the finer things in life. It’s a place that calls for you to slow down, kick back, and take in the sunshine. The town itself sits on a hill overlooking the white sand beach, where carefree dogs run with big gaping smiles alongside their owners while the waves break serenely in the background. 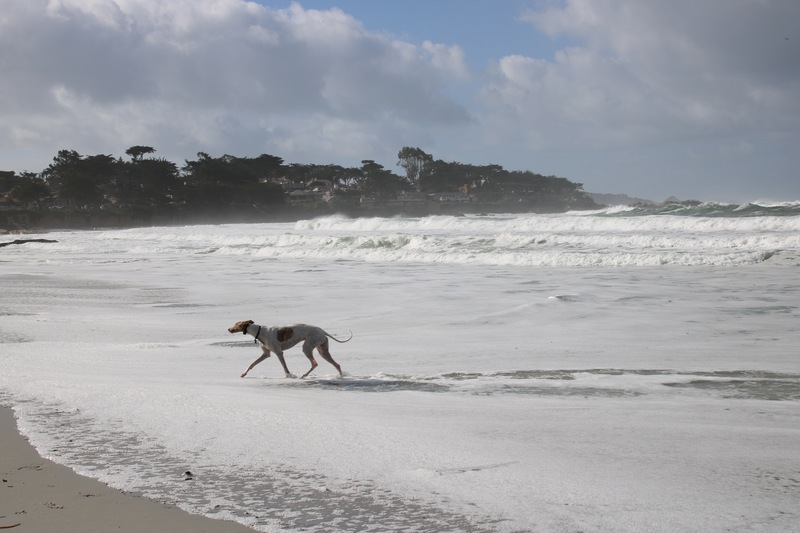 Carmel beach is one of the few off-leash beaches in California, and the dogs here appear to be the happiest in the state! You don’t book a hotel in Carmel, you find yourself a proper bed and breakfast. You won’t have to look far to find a dreamlike inn that feels country chic and urges you to wrap up early to cozy by the fire. We stayed at the Sandpiper Inn, an adorable older house converted to an inn. No TV in the room allowed us to enjoy evenings with a digital detox, and the best part was hearing the ocean roaring through the windows as it was just steps away from the beach. 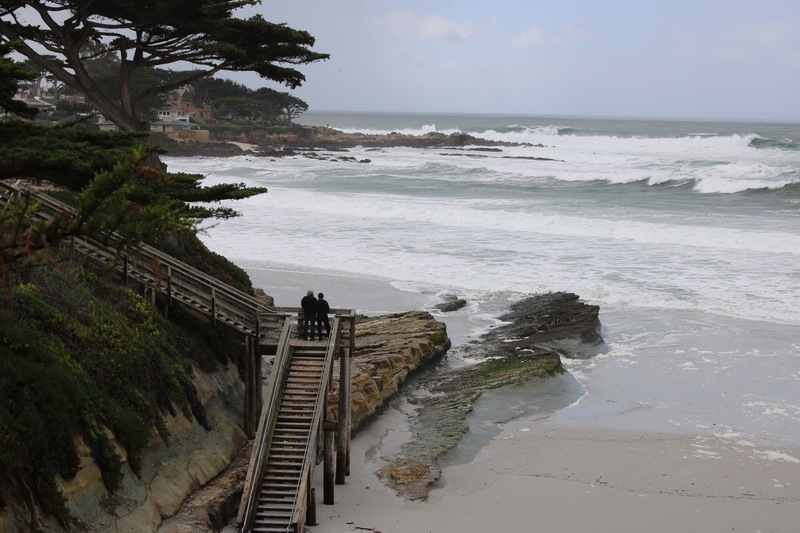 From our lodgings, we were mere steps away from the gorgeous Carmel Scenic Road Walkway, a beach lined walking path which leads right downtown. 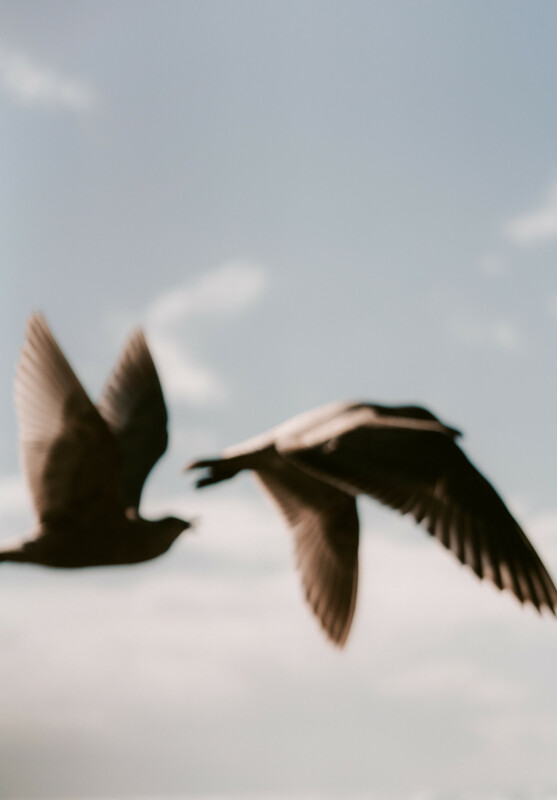 The walkway follows a bluff’s curves with views of the entire bay, and you’ll likely be greeted by seagulls and friendly locals along the way. If you need a rest, or just want to pause and enjoy the scenery, benches are lined all along the path to offer you more chances to slow down and take in the beauty of the place. 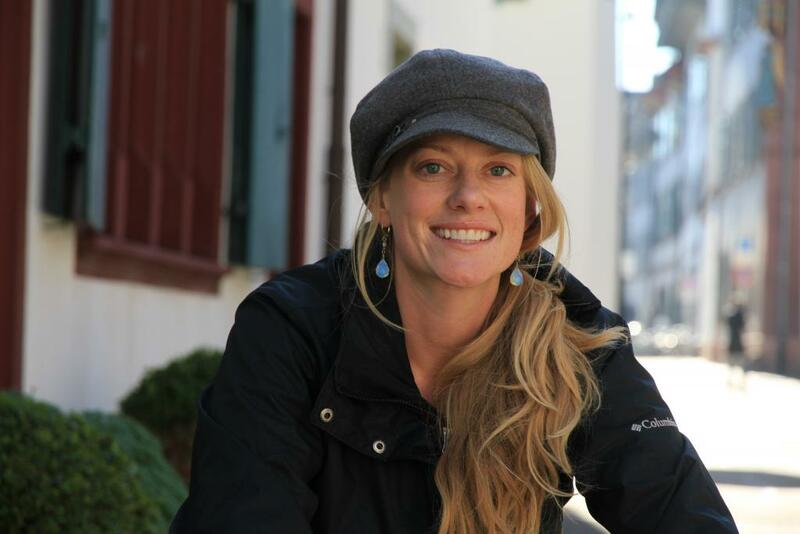 You can also spend an entire afternoon walking the adorable streets lined with thatched roof old world European-inspired architecture, sampling baked goods and coffee along the way. Walking around the shops you’ll find vibrant art galleries, useful bookstores for your beach reading, and you may be lured by wafts of fresh cinnamon rolls at the local bakery. Walking all day means you earn those calories! I’m a firm believer that food tastes better, and wine tastes sweeter after a leisurely day of strolling through town by foot. Enjoy the town, linger as long as your heart desires, and indulge your foodie inclinations as you stop along the way. You don’t go to Carmel for it’s entertainment or nightlife. This place is all about relaxation. A welcome respite for city dwellers who crave a sense of slowing down and enjoying the moment. Although it’s quite small, there are plentiful options for restaurants including Mission Ranch, owned by the once Carmel Mayor Clint Eastwood! All are within walking distance of most bed and breakfasts, so enjoy the second course, you'll have time to digest when walking home. 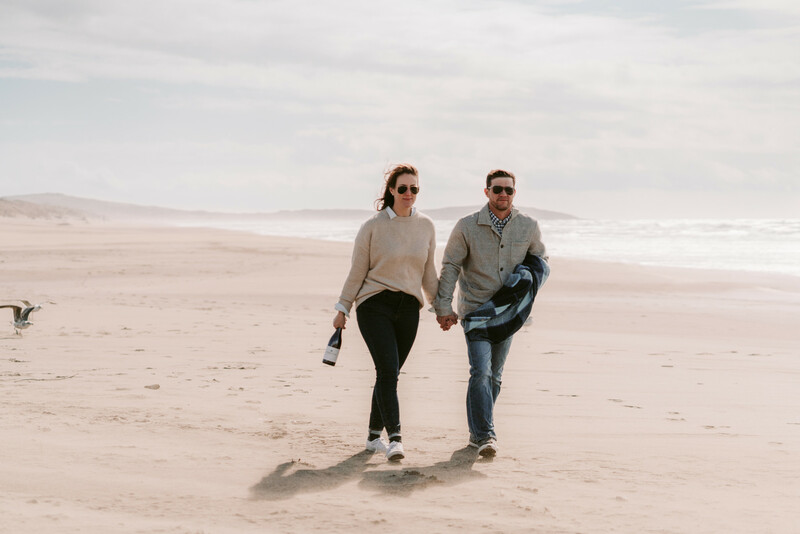 There are several wineries around for tasting Monterey County’s ocean influenced wines, but our favorite spot for enjoying a glass of crisp white vino was right on the beach. 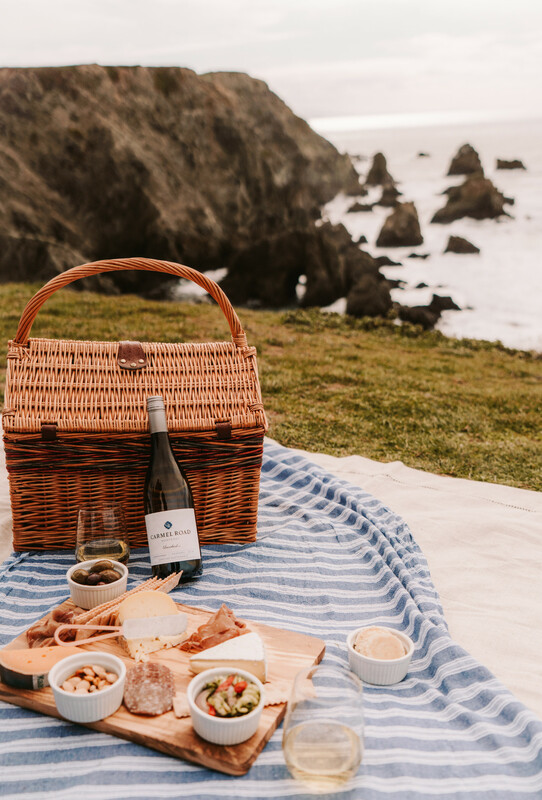 It doesn’t get much better than packing a picnic of cheese, fresh baked bread, wine and chocolate to snack along while people (and dog!) watching with your friends or someone special. After eating, there is more beach walking, reading, watching the clouds slowly glide across the grey-blue skies as you quietly ponder life’s great mysteries. Carmel Mission - 20 minute walk from town leads you hundreds of years into history with the Spanish Mission built in 1797. Point Lobos State Reserve - is only five miles south of Carmel and offers a majestic landscape with 14 meandering trails. A $10 admission gets you in where you may spot sea otters, seals and sea lions year-round, and migrating gray whales December through May. 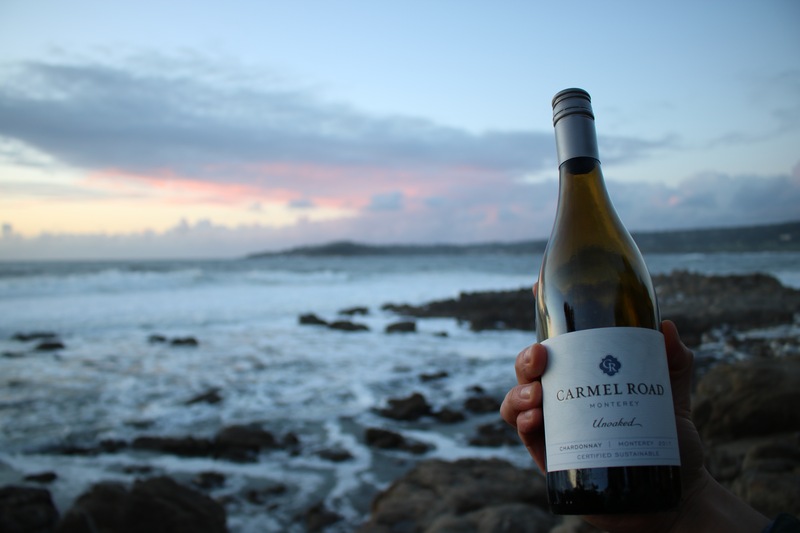 Carmel Road wines are named after a winding, one lane back road that stretches from Carmel-by-the-Sea to the inland vineyards, traversing the Arroyo Seco through scenic gaps in the Santa Lucia hills. This unassuming, sweetly rustic trail was the inspiration for our name, our own Carmel Road. 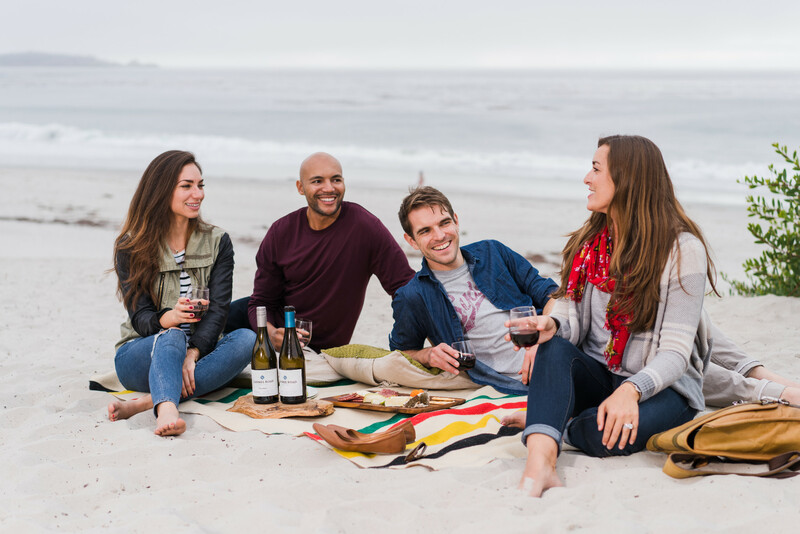 Whether you are in Carmel, or just kicking back in your own backyard, toast those moments when we let time slow to savor each passing moment. Salut!